You sure can’t stop these guys from pushing high-end smartphones out, can you? It looks like Sprint is working at full blast to get yet another super business device on the market. This time, we are talking about of the HTC Touch Pro2. Here are some live shots leaked on SprintUsers; we just cannot miss mentioning that the back side totally rocks, thanks to the beautifully-designed loudspeaker grill. HTC has once again proved to know how to integrate business etiquette and open-minded style. Great innovation for the Sprint version indeed. The phone looks cool, and what makes it even better is that the user bigchico68 says the HTC Touch Pro2 should be available sometime in the middle of June. In addition, the HTC Snap (Willow maybe?) is mentioned to come in July! It seems Sprint users are in for quite a summer. 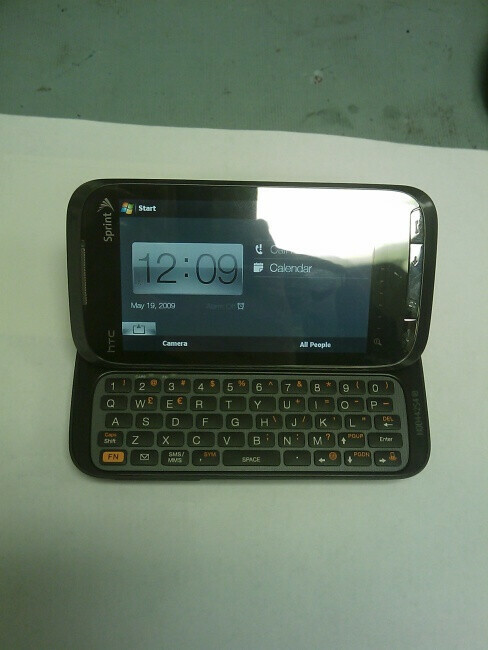 LOL... VZW will release the Touch Pro2 like they normally do... so on 2011 all VZW people may buy one. So will this have 6.1 or 6.5? Would love to see WebOS ported to this! I too would like to see WEB OS on this. But Belve is probably right. 6.5 is completely finished. I have my fingers crossed. Sprint is staying on top of there game. That's for sure! Yeah I have to agree. That back battery door looks nice! Looks more sturdy and less slippery. 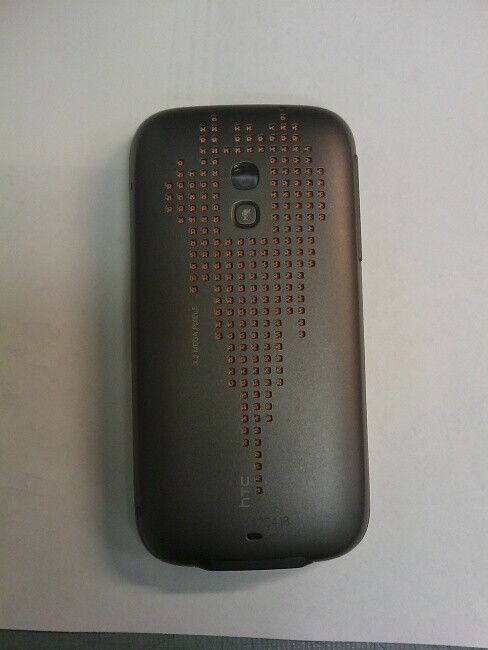 "The back side of the HTC Touch Pro2 features a beautifully-designed loudspeaker grill" Uhhhh... That looks like crap. It looks like a cheap kids toy in the back. There is nothing upscale or beautifully designed about that in my opinion. The GSM one looks way better. Especially if they made the GSM version in Black or a Gunmetal Gray. 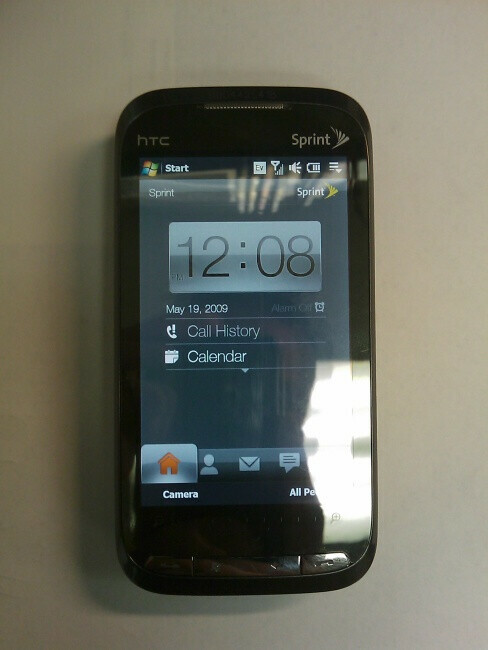 I'm glad Verizon left my HTC Diamond backing on my phone like the GSM version. People always see it and say how nice and looks, or what kind of phone is that. I was San Francisco recently walking down market talking on the phone to a friend after a meeting and I had no joke 2 people stop me to ask me what kind of phone it was cause they saw the diamond back. I mean it's nice, but I don't even think anything is that nice to stop someone and ask. Different strokes for different folks I guess. that is one ugly effing back cover. Shouldn't you be able to get the gsm back cover and replace it with the sprint's version? Easy fix right? I really don't see anything bad with how the back looks; maybe if the pattern was a bit more symmetrical? Besides that, I think its a gorgeous looking device, and the UI looks pretty cool. I'm only needing AT&t to hurry up and release their version, and me actually finding a reason to have the phone. Different strokes for different folks is correct. I hope that the battery cover's grill is not only cosmetic because the speaker grill indications for the European model are tiny. Hopefully the robust and artistic pattern on the Sprint version indicates that the speaker phone on the HTC TouchPro2 is more than a technological inadequacy, like those on the original Touch Pro and Touch Diamond, both of which have sorely underpowered, whisper-quiet, cracking-at-any attempt-at-volume speaker phone-ettes. Lol, I wasn't even thinking about that, but you bring up a good point. I'm not really big on aestnetics, which I should be. I mean, I'll start talking about aesthetics when something is visually unappealing, which doesn't make sense, but you know. damn... i want to tell vzw to see and learn... "How to NOT to mess up a great phone." Hey vzw, next time u get touch pro 2, plz don't cripple it down... ok? Verizon is killing me... sigh... missing out on another great phone. Well... VZW didn't even go with the Touch Pro the first time... VZW's model was actually the HTC Raphael, although similar, no where near the same device. Just like the Diamond for Alltel and Sprint, wasn't really the diamond, it was the victor or something like that. This isn't the TP2 either, this is actually the Rhodium. But it will be branded TP2 to keep with the uniformity of device recognition.